Bright and Breezy Crafts: Stylish! definitely "challenging" myself all those times..
"use a die or punch." Well, ok... I think i used 3 punches and 3 dies.... hahaha. This stunning image is from one of my very favourites... A Day for Daisies. It's called 'Hebern dress', and is a beauty to colour. I used about 4 different promarkers - just to colour her dress! the black slim border and the fancy square shape. Great card, wonderful elements and color combo. Thank you for joining us this week at HIMCR. 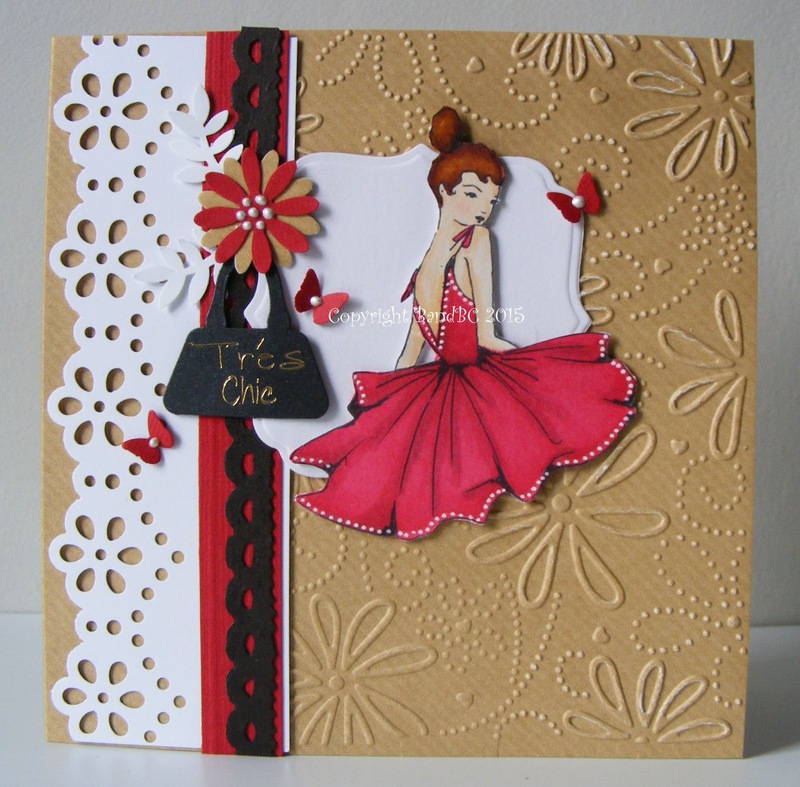 Lovely card with great detail and embellies. Love it! Vic, this is really lovely. I love the colours you have used and your card design is gorgeous too. This is a real beauty. I love the image and your colouring is lovely. Thankyou for sharing with us at Crafting From The Heart. Hugs ValeryAnne. D.T. Love the texture, Amazing card the image is simply impressive. Thanks for joining in on the fun at Aud Sentiment Challenge. We look forward to seeing you again. A lovely card. The embossed background and image are fabulous.